Available to pre-order from today. With the Samsung Galaxy Note8, consumers get a larger Infinity Display that fits comfortably in one hand, S Pen to communicate in more personal ways, and Samsung’s best-ever smartphone camera. 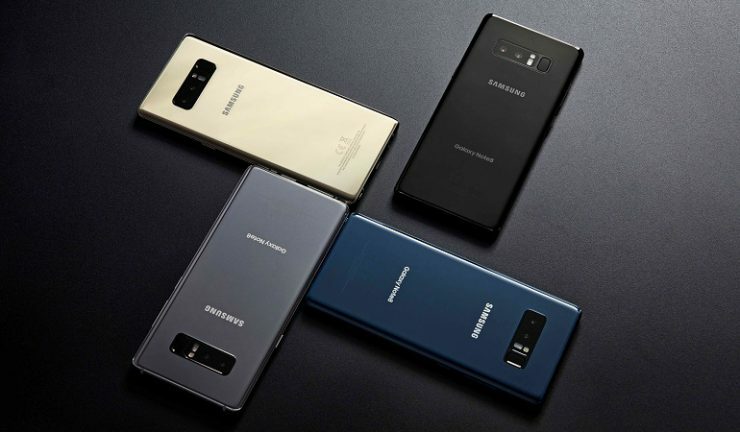 The Galaxy Note8 is equipped with two 12MP rear cameras with Optical Image Stabilisation (OIS) on both the wide-angle lens and the telephoto lens. For more advanced photo-taking, the Live Focus feature lets users control the depth of field by adjusting the bokeh effect. In Dual Capture mode, both rear cameras take two pictures simultaneously and allow users to save both images; one close-up shot from the telephoto lens and one wide-angle shot that shows the entire background. The wide-angle lens has a Dual Pixel sensor with rapid Auto Focus for sharper, clearer shots even in low-light environments. The Galaxy Note8 is also equipped with an industry-leading 8MP Smart Auto Focus front-facing camera for sharp selfies and video chats. The 6.3-inch Quad HD+ Super AMOLED Infinity Display lets you see more and scroll less with more room to watch, read and draw—making it the ultimate multitasking smartphone. The S Pen has a finer tip and improved pressure sensitivity. For overseas travels or when you come across a website in a foreign language, the improved S Pen Translate feature lets you hover over text to quickly translate not only individual words, but entire sentences in up to 71 languages, and instantly convert units and foreign currencies. Samsung Electronics Australia has confirmed the Galaxy Note8 will be available from selected retailers to pre-order in Australia from today (25 August 2017). It will be available in Midnight Black and Maple Gold from 22 September 2017 for an RRP of $1,499. Customers who pre-order the Note8 from a participating retailer between 25 August and 21 September, 2017 will be eligible to receive a free Samsung Convertible Fast Wireless Charger valued at $119, redeemable through Samsung. For peace of mind, customers who order the Galaxy Note8 between 25 August and 31 October, 2017 and register by 14 November, 2017, will be offered free access to Samsung’s Screen Assure program. This will provide one free screen repair should the screen be damaged within the first 12 months of receiving the device.